Welcome to the digital world, where you will find that in today’s business environment almost everything that you do that has anything to do with information relies on computer technology. With BOTI’s MS Office training courses you will rapidly conquer the world of digital technology. Day 1 An introduction to the world of digital processing. What constitutes hardware, what constitutes software and how you can maximize computer technologies to create an efficient and smooth running operation. Day 2 Introduction to Word. Effectively manage your documents, create tables, apply different formats, font styles and colours, import other elements such as graphic files and save your documents so as to be compatible with other applications. Day 3 Introduction to Excel. Create a spreadsheet from a given specification, manipulate data using cells, label cells and formula cells and perform basic sums such as addition, subtraction, multiplication, division and sum. Day 4 Introduction to PowerPoint. Create winning formula creative presentations using a number of different features such as inserting shapes, inserting images, adding animations and adding SmartArt. Day 5 Introduction to Outlook. How to log on to the Internet and how to use electronic mail (email) software. Enrol now for BOTI’s MS Office Power course and take your power into your own hands. BOTI offers word processing courses, MS Office training courses and presentation training courses. BOTI offers business training programmes across South Africa. Prepare and produce a presentation according to a specified brief. Adjust settings to customize the view and preferences of the presentation application. Creating and editing documents in a word processing package. Importing and positioning pictures, images and objects into a word processing document. Creating and using bulleted numbered lists and tables in a word processing document. Using the mail merge feature of a word processing package. The differences between data cells, label cells and formula cells in a spreadsheet. How to use the functions of addition, subtraction, multiplication, division and sum in a spreadsheet. Printing a spreadsheet using features specific to spreadsheets. Preparing and producing a presentation according to a specified brief. Adjusting settings to customize the view and preferences of the presentation application. Using electronic mail (email) software to send and receive messages. Attaching documents or files to an electronic mail (email) message. Organising and managing message folders or directories within electronic mail (email) software. 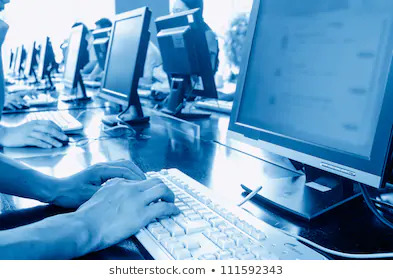 This course is part of BOTI’s suite of MS Office training courses and is suitable for those individuals who are seeking to improve their computer skills. ‘Very ‘learning-full’ and insightful. The facilitator was very helpful and knows the subject very well.